Providing care to someone who is experiencing a mental illness can interrupt your vocational goals and be both physically and mentally challenging. 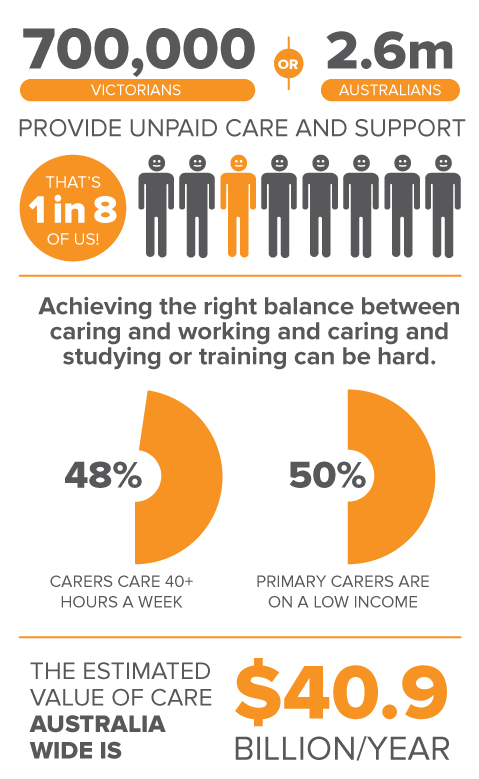 Carers often face barriers to workforce participation and opportunities to study or volunteer. We offer tailored, one-to-one support designed to meet carers’ vocational goals. As well as direct carer support that includes counselling, peer support and mentoring, Ermha can provide relief from the caring role (respite), carer education and education for families. Ermha Carer Support Services accepts referrals from health professionals, other agencies, friends and family members, and we also welcome self-referrals.